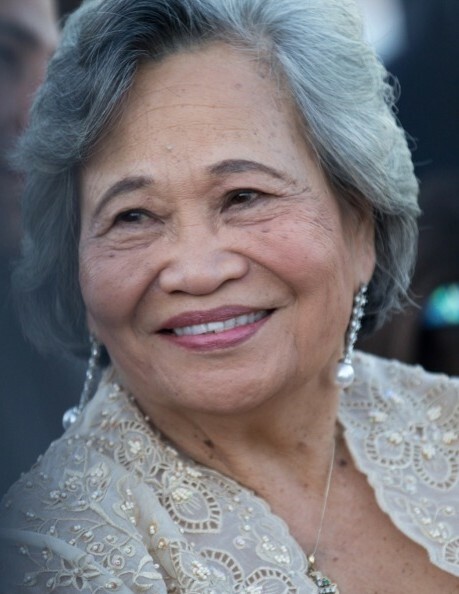 Sumter, SC…Florentina Cristobal "Polly" Depra, age 80, beloved wife of 52 years to Dr. Rogelio Doromal Depra, Lt Colonel, USAF, Retired, died on Thursday, April 11, 2019 at her residence. Born in Palagao, Jones, Isabela, Philippines, she was the daughter of the late Buenaventura Cristobal and Felixberta Bernardo Cristobal. Polly, was the proud wife of Dr. Rogelio Depra, a retired Lieutenant Colonel from the United State Air Force. She was born on March 16, 1939 in Palagao, Jones, Isabela, Philippines. Polly would often relate the story of how she grew up on the farm with just enough to get by but always dreamed of a better life. In 1963, she came to the United States on a work visa program and this is when her dreams began to come true. After graduating from Ortanez University School of Nursing & Medicine in Quezon City, Philippines, Polly worked as a nurse at Passaic General Hospital in New Jersey for two years, then transferring to French Hospital in New York where she met her soul mate and husband for the next 52 loving years. They were blessed with four healthy and vibrant children, presenting an undeniable call for her to stay at home and treasure the gift of motherhood. After her 20 year career as a military spouse, and after her children were grown, Polly shifted her efforts to public service and dedicated herself to healing veterans at the Veterans Administration hospital in Columbia SC as a caring nurse for 16 years. Despite her active lifestyle, the Lord’s work was always Polly’s first priority and lasting calling. She was active in her local parish on Shaw AFB, serving as an usher for 15 years and spearheading the Operation True Giving charitable project, for a total of 30 years service to the Shaw AFB Chapel charities. She regularly hosted prayer groups at her house and was a true servant of God. Full of life and vigor, she loved to dance and tell the most lavish of stories, always sociable and engaging. She spent much of her free time in her garden where she worked the miracles of gardening, which would make any master gardener envious. Her gifted “green thumb” could make anything grow and her garden sanctuary provided a most memorable getaway for the whole family. She is survived by three daughters, Debbie Curtis and her husband Stephen of Chapin, Emily F. Russell and her husband Peter of Cornwall-on-the-Hudson, NY, Polly A. Moxley and her husband Rick G. Moxley, Lt Colonel, USAF, Retired of Tamassee, SC; one son, Dr. Roger C. Depra and his wife BernaDeane of Spartanburg; and ten grandchildren, Amanda Russell, Conner Russell, Trevor Moxley, Evan Moxley, Samantha Russell, Nicole Curtis, Irene Moxley, Michael Depra, Christopher Depra, and Roger A. Depra. She was preceded in death by her daughter, Julie Depra; three sisters, Francisca Ignacio, Dolores Prego, Consolascion Gironella; and two brothers, Fabian Cristobal and Juan Cristobal. A Mass of Christian Burial will be held on Monday, April 15, 2019 at 11:00 am at the Our Lady of the Skies Catholic Parish, Palmetto Chapel, Shaw Air Force Base with the Monsignor Mark Rowan officiating. Interment will follow in the Evergreen Memorial Park Cemetery. Pallbearers will be Stephen Curtis, Peter Russell, Rick Moxley, Roger Depra, Trevor Moxley, Conner Russell, Evan Moxley, and Patrick Swain. The family will receive friends on Sunday, April 14, 2019 from 4:00-6:00 pm at Bullock Funeral Home. The Wake Service will begin at 3:30 pm followed by the Rosary in the Bullock Funeral Home Chapel. Memorials may be made to the following charities: Wounded Warriors Project, Shriner’s Hospital for Kids, Red Cross, United Ministries of Sumter, and the Salvation Army of Sumter. The family has chosen Bullock Funeral Home of Sumter for the arrangements.